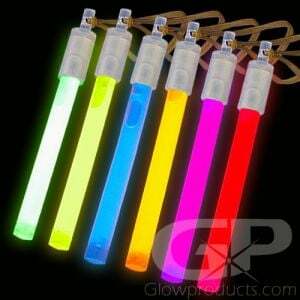 - 50 piece Assorted Color Mix 4" Glow Sticks! - 10 each of Blue, Green, Red, Pink & Yellow! - Ideal for both Recreational & Emergency Purposes! - Glow Parties! Festivals! Halloween! Fundraisers! 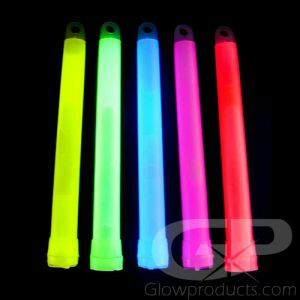 4 Inch Glow Stick Assorted Color Pack! 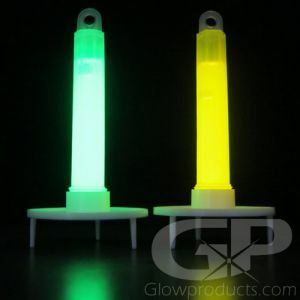 The 4 Inch Glow Stick Assorted Color Mix comes with 10 Green, 10 Blue, 10 Red, 10 Yellow and 10 Pink glow sticks. The removable cap with the elastic loop means you can attach them to anything or anyone! 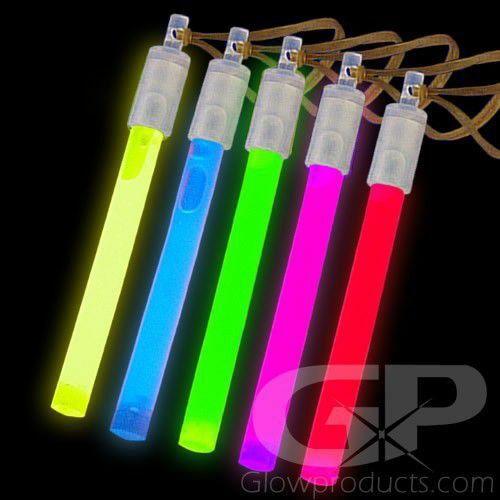 Which makes the 4 Inch Glow Sticks great party accessories, decorations and people markers - light up your kids at Halloween or camping! The assorted color 4 Inch Glow Sticks are non-heat producing and 100% waterproof making them safe for all different types of environments. 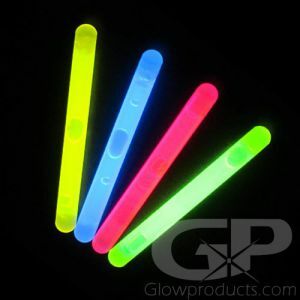 The 4 Inch glow stick light duration is 6 - 8 hours long, which means these glow sticks are ready to party all night! Instructions: Bend the 4 Inch Glow Stick just enough to break internal capsules and then shake to mix and start the bright glow effect! The end cap with the elastic band is removable.